After police in Pennsylvania posted video of a lion statue being stolen from a home, the thieves returned it. 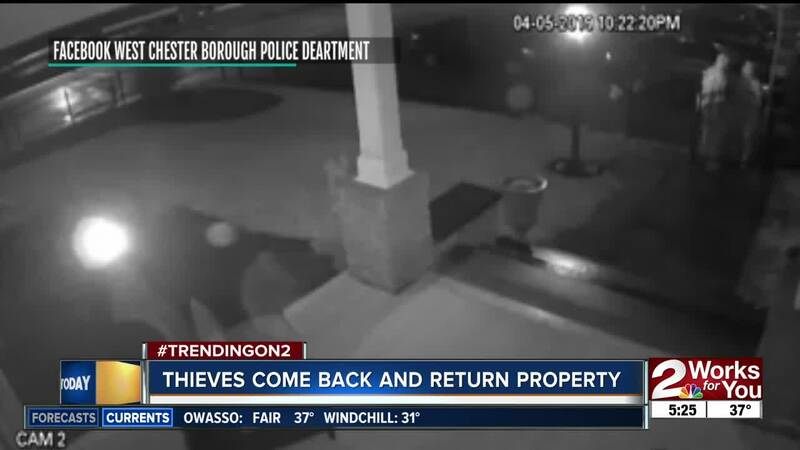 The thieves came back with the statue and even left some flowers and a card for the homeowner. The homeowner says they are grateful to have the statue back.